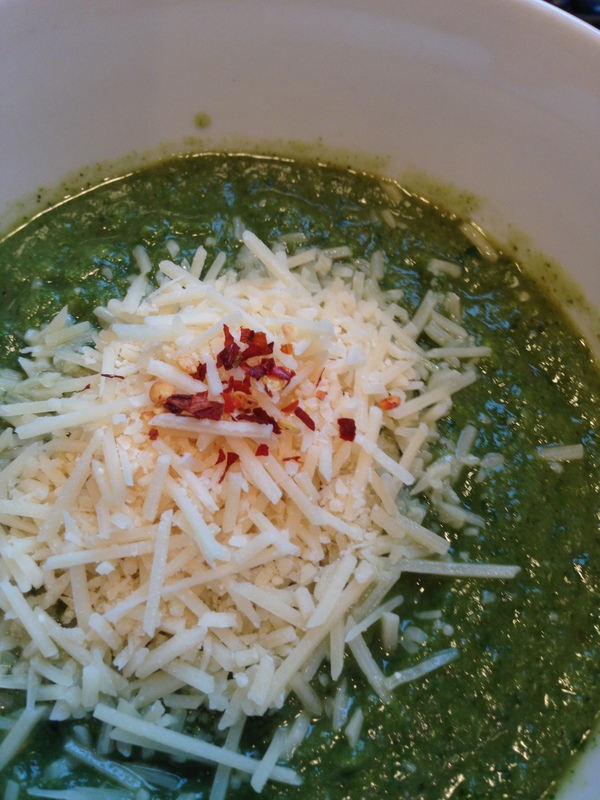 Twice a week I eat less than 500 cal/day (will write more about it later) so this is the first low-calorie recipes I am posting…The soup is really delicious, full of vitamins, it will fill you up and only has 198 cal!!! 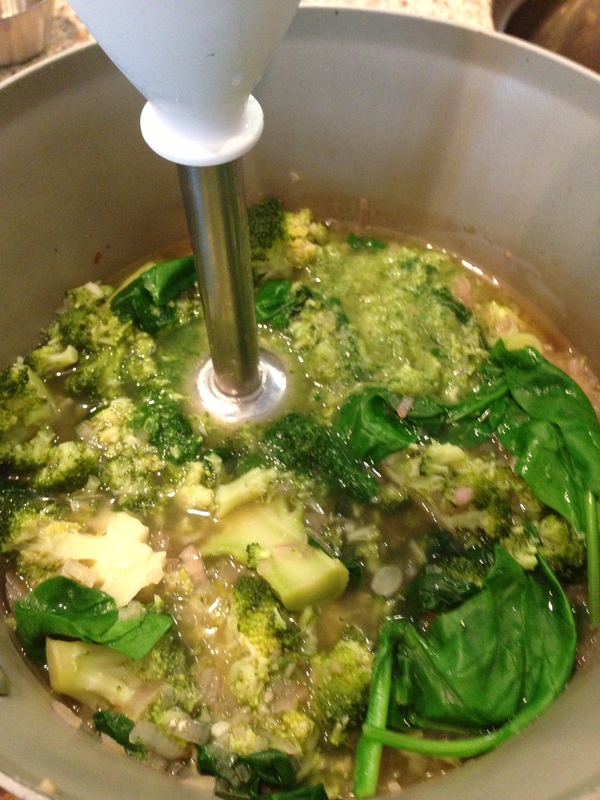 Bring the water to a boil and add the broccoli for about 10 minutes together with the vegetable bouillon. Meanwhile fry the onion and garlic in a frying pan. Add the spinach together with the onion mix. 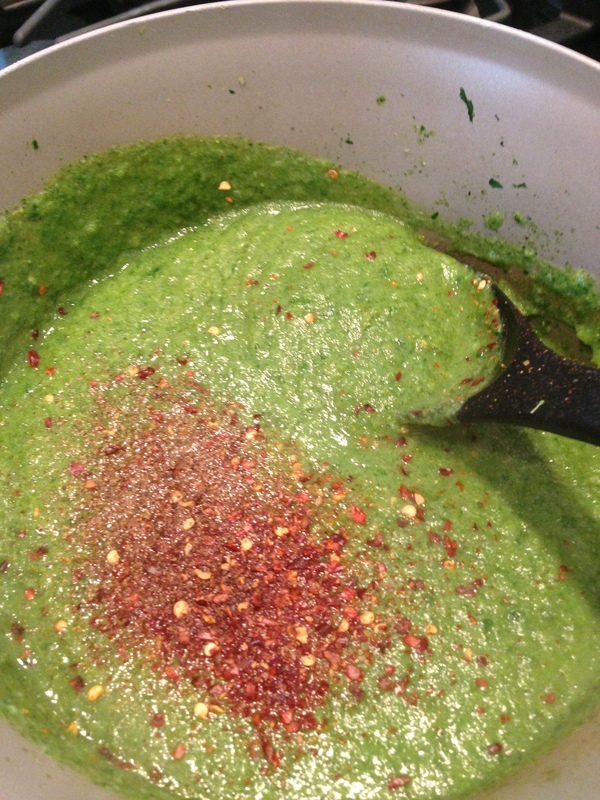 Mix everything together till a smooth soup and seasoning with salt, pepper and chili flakes.